A few decades ago Galapagos wasn’t a top of mind for surfing destinations. It was widely known for its unique landscapes and marine life but surfers were not aware the wave paradise Galapagos really is. Things have changed and nowadays since more a more people are discovering Galapagos as a unique surfing spot in the middle of the Pacific Ocean. Surfing in Galápagos is a great option not only for its year round world class waves, but its privileged warm weather and marine life. Find out more about the best surfing spots in Galapagos, how and when to get there. How much surfing experience do I need to surf in The Galapagos Islands? Galapagos plenty of beaches where surfing is allowed. No matter what your surfing level is, you’ll find one that suits you. 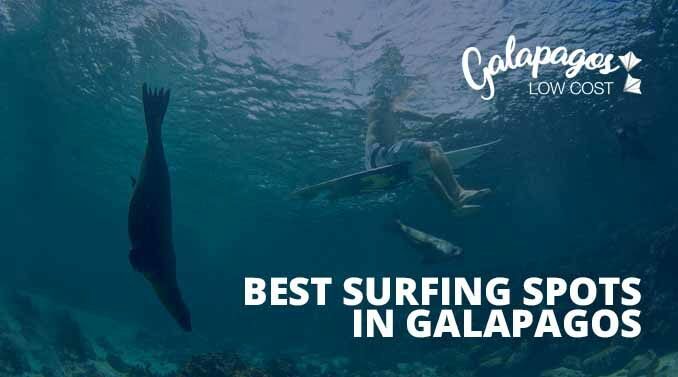 However, if it’s your first time surfing in Galapagos we strongly recommend you to ask for advice from local surfers and avoid going alone the first time. You can do so when renting your surfboard. If you have zero experience, you can get surfing lessons in the main islands. Our personal recommendation is to take the lessons in Isabela Island since the waves are better suited for beginners. Surfcamps in Galapagos are another great way to learn how to surf in a cool and relaxed enviromet surrounded by the surfing comunity. The Galapagos Islands are located in the Pacific Ocean, 1000 km away from Ecuador mainland. In this location the islands benefit from a warm weather all year (never less than 19º). The Islands also have swells from the north and south of the Pacific, assuring you good waves all year. However, if you are able to choose the dates, the best time to visit the Galapagos Islands to surf is from december to may. During this time there’s plenty of sun (27º) and lots of waves. The rest of the year, even though it doesn’t get cold, it may get a little cloudly and rainy. Here’s more information about the dates and what you can find. In these months sea temperatures remain at 23º there are powerful reef breaks and there tend not to be too many people. The temperature of the water drops to 20º from May and the waves start to become more inconsistent, so it is more difficult to reach them. In addition, especially the months of march and april are usually holidays seasons in Ecuador, so expecto way more people and higer prices. There’s no doubt that San Cristobal is the best island in Galapagos to practice surf. San Cristobal has many points for intermediate and advanced surfers, not recomended for begginers. You can also find a great surfing comunity in this island since there you can find 4 world class waves, 2 of which are square tubes. The reason why the waves in Galapagos are so special its because its exceptional location, where it gets both north and south swells from the Pacific Ocean. On the days when the sea is calm, it is a wonderful beach to lie down and sunbathe. The beach is one of the most beautiful in San Cristobal, and the sea lions that rest there will surely give you a smile throughout the day. A 15 minute walk from Puerto Baquerizo. Punta Carola is one of the most popular beach among surfers. Waves com from north and from november to april its the best time to visit since waves are magnificent. The waves run fast so you’ll need a lot of energy to catch them. This spot is located in the south of the San Cristobal Island and can only be reached by boat. The boat ride is totally worth it since Tongo Reef has world class waves from north and it gets better: theres not much people and waves are very frequent. To access this beach you’ll have to pass a military base where you will be asked for an ID document, do not forget to bring it! Once you are authorized, from there, you will have to walk around 15 minutes until you reach the beach. This is a rocky spot so be carefoull and try to get there early since its very crowded. On this island, north currents arrive in the beach season (from November to April) and south swell from May to October, where the temperature of the waves usually go down a little and although it does not get cold, the sky is more cloudy, It is less appetizing and there may even be drizzle. Tortuga Bay is on the top 10 beaches in the world according to TripAdvisor for its uniqueness. Its a great place to rest, watch galapagos tortoises, flamingos, marine iguanas an even sharks. It is a great spot to snorkel but also perfect to surf. In 2018 Tortuga Bay held one of the main surfing events, the ALAS Latin Tour. There are many other spots to surf in Santa Cruz Island. Some of them very close to city centre as Playa el Bazan, Tres pico and Piedra Ahogada. You can even get there by walking. Some others are only reachable by boat but definitly worth it. This spots are Punta Nuñez, Ola Escondida o Punta Gallina. Isabela is undoubtedly one of the favorite islands for tourists who visit Galapagos. Its environment and unique landscapes make it an authentic natural paradise. In terms of surfing, this island is ideal for beginners or people who want to learn this sport since it has wide beaches where a high level of experience is not required. For this reason, there are many stores that offer surf lessons around the island. If you visit Isabela, we recommend the spots El Faro, El Hospital, Barahona, Los Túneles and of course, the beach of Puerto Villamil for classes focused on beginners. Need help with your trip to Galapagos? 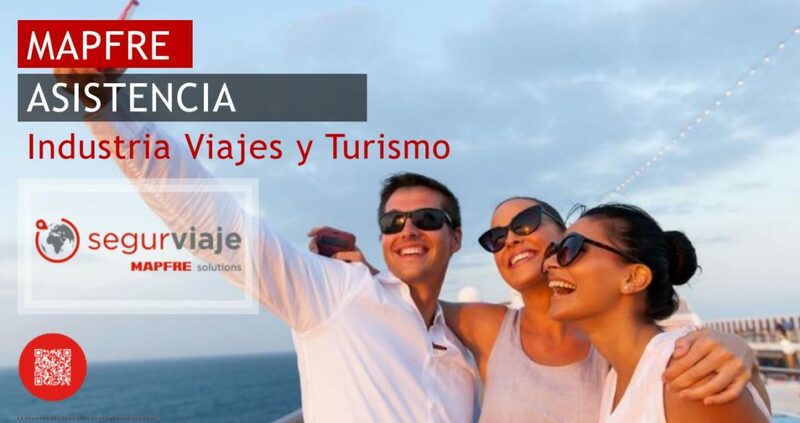 Well be happy to help you clear any doubts about your trip to Galápagos. You can also drop us a line today for a free low cost itinerary quote!